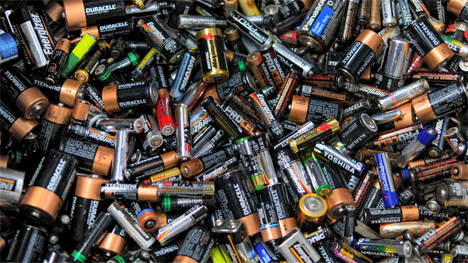 Batteries aren’t just a pain to replace and dispose of; they’re certifiable toxic waste. A research team at Virginia Tech is developing a battery powered by sugar that may keep hundreds of thousands of tons of traditional batteries out of landfills. Sugar is a natural source of energy (as any parent with a sugar-eating child can attest), so it makes sense that we harness that energy to make environmentally-friendly batteries. Y.H. 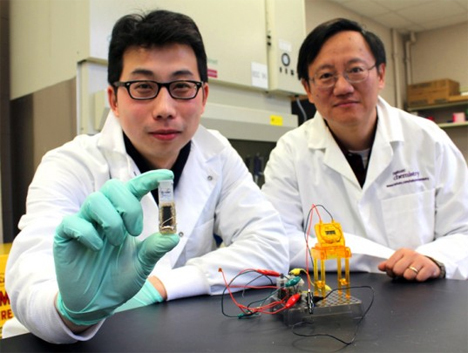 Percival Zhang, the lead researcher on the project, says in an article published in Nature Communications that we could see these sweet new batteries in gadgets as soon as 2017. Other sugar batteries have been developed before, but Zhang’s version has an energy density an order of magnitude above any others. Its impressive energy density would allow the battery to run far longer before needing a recharge. His method involves mixing together sets of enzymes that are not found together anywhere in nature. He creates non-natural enzymatic pathways that harness all energy-creating potential from the sugar. Inexpensive biocatalyst enzymes are used in place of the expensive platinum used in conventional batteries. 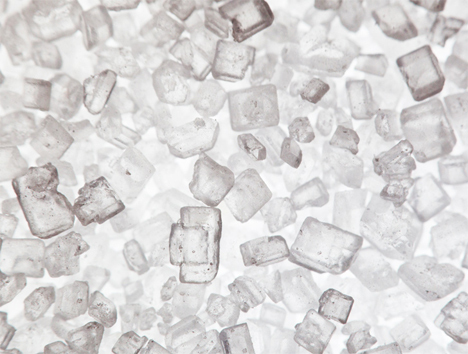 The sugar fuel is non-flammable, non-toxic, biodegradable, and affordable. Sugar batteries can be recharged simply by filling them with more sugar, which sounds a lot like way-out-there science fiction. Maybe now that we are beginning to understand just how bad sugar is for the human body, we can start using it for something much more useful than making cookies: powering our cell phones so we can play that game where you pretend you work in a bakery. See more in Energy & Power or under Science. January, 2014.